The Wikipedia Year of Science 2016 was an unprecedented initiative to improve Wikipedia’s science coverage. Going forward, we’re continuing efforts to connect higher education classrooms to the publishing power of Wikipedia through the Communicating Science initiative. Through this program, Wiki Education is helping future scientists learn about science communication, while improving Wikipedia’s science coverage for millions of readers worldwide. Thanks to major support from Google and the Simons Foundation, we worked with 6,200 students in 2016, in more than 285 higher ed classrooms across the USA and Canada. Those students have contributed nearly 5 million words to science articles seen more than 262 million times. Now, through Communicating Science, students have added an additional 7.5 million words — a number that continues to grow. 70% turn to the web to learn more about scientific topics. 52% use the web to fact-check scientific information. 90% use a search engine first. Wikipedia has more links from search engines than any other website, and is often the first search result listed when searching for scientific information. Wikipedia’s content reaches more than 450 million readers around the world, on topics ranging from greenhouse gas to the solar system. That makes Wikipedia one of the most powerful platforms for the dissemination of science information on the planet. Mobile users visit Wikipedia more often than CNN, Fox News, and USA Today combined. Wikipedia is read by millions, and its content is written by volunteers. These volunteers make bold contributions in areas they’re interested in, but those topics don’t always match the topics people want to understand. While Wikipedia offers high-quality content about certain topics, a large proportion of pageviews goes to articles that are insufficiently developed. Our flagship Wikipedia Student Program is simple. Instead of writing a paper that gets thrown away, university students research and write Wikipedia articles on course topics. When it comes to scientific literacy, undergraduates are in a unique position. They’re studying advanced science and understand the jargon of their field, but they’re still connected to those who don’t, and remember what it’s like. The challenge of explaining what they’ve come to learn (not just for an exam, but to really be understood) makes them ideal candidates for bridging the gap between dense academic scholarship and a curious public. The Year of Science, and now Communicating Science, has helped students deliver thousands of well-sourced articles on important science topics to Wikipedia. These articles are written by students studying the topic, and overseen by faculty members who are experts in their field. 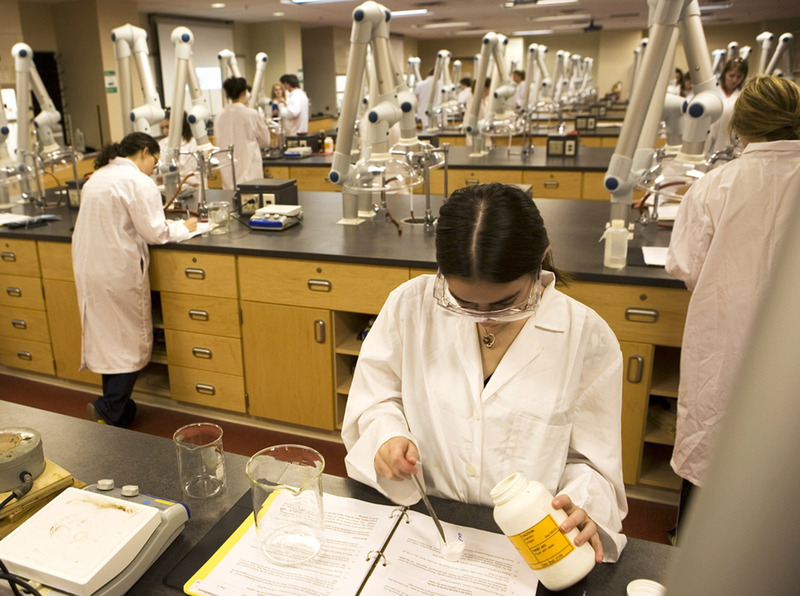 Students gain crucial science communication skills. They critically assess existing content, identify what’s missing, and fill gaps with clear language cited to reliable sources. Along the way, millions of readers get access to clear, reliable science information. It’s a win-win. Communicating Science is also an opportunity to build the skills of the next generation of women scientists. While nearly 90% of Wikipedia’s content is written by men, 68% of Wiki Education’s student editors are women. We’re focused on developing biographies of women scientists to help balance the gender content gap. We believe that expanding Wikipedia’s coverage of important women will bring greater awareness of women’s role in the sciences and inspire the next generation of pioneers. Wiki Education is a nonprofit organization. We’re not connected to Wikipedia, but we value Wikipedia as the world’s most-viewed source for information. We want that information to be safe, reliable, and trustworthy. That’s why we help fill content gaps — like those in the sciences — on Wikipedia. Here’s how. We’re looking to hear from instructors, academic associations, Wikipedians, journalists, and universities who are interested in Communicating Science. Send us a message below, and we’ll contact you with ways to get involved. Wiki Education is unable to support high school courses, or courses outside of the United States and Canada.